Snake Lazers V.1 comes with 110 Serum presets and 90 Massive presets as well as a bunch of easy to use and inspiring bonus items listed below. Check out the YouTube video to see the presets used in real time and to see which demos are included in the DAW sessions. AS AN ADDED BONUS SNAKE LAZERS V.1 COMES WITH OUR TROPICAL HOUSE SOUNDSET TROPIC THUNDER V.2 WHICH COMES WITH 85 ADDITIONAL MASSIVE PRESETS AT NO EXTRA COST. 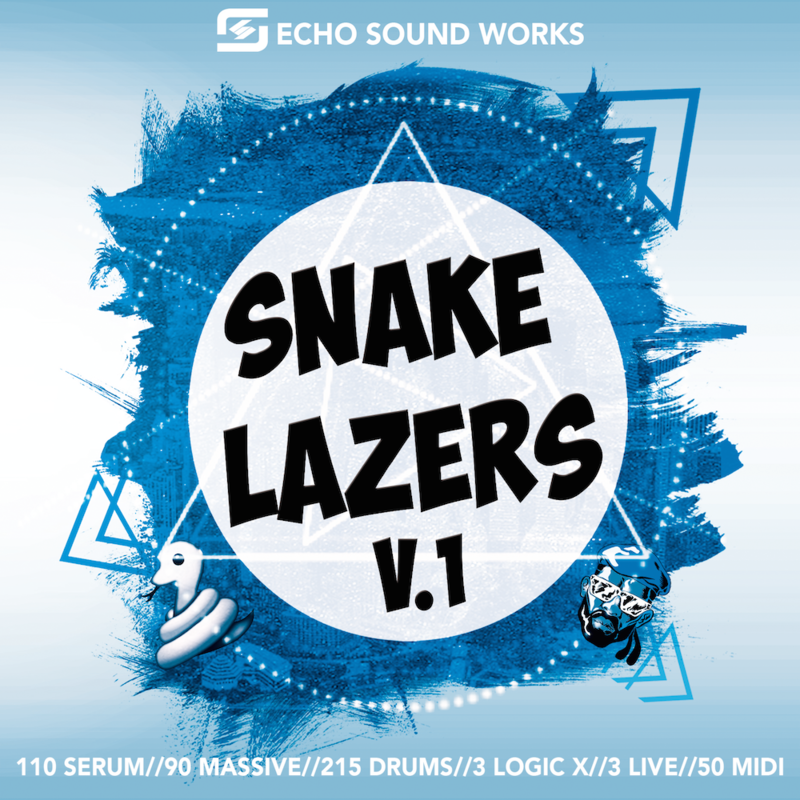 Snake Lazers V.1 is really two soundsets combined into one epic pack. There a ton of Trap and Dubstep sounds for both Massive and Serum as well Future Bass, Moombathon-Tropical House inspired presets. We pushed each synth to it’s limits to bring you the most diverse set of presets. From huge gnarly dubstep basses and leads, to drop worthy vocal chops in Serum to Tropical inspired plucks like Marimbas, Boomwhackers and more, this pack has it all. We carefully assigned macros for both synths so you have control over all important elements of any patch. Trap, Moombahton and Future Bass are all very diverse genres of EDM which is why we included 3 Ableton Live Templates, 3 Logic Pro X Templates in addition to the 50 MIDI files that you can learn from or use royalty free in your productions. There’s also 215 drum samples as well as drum loops taken from the demo songs. The DAW templates are a great learning tool and you can use the MIDI as inspiration for your next track.